Intrigued to know about Spider-Man 2099 friends & enemies? Check out the list of Spider-Man 2099 enemies and rival teams that continue to trouble this Superhero over the years. Along with the Spider-Man 2099 enemies, he also has friends and group affiliations that help him fight against enemies and stand by his side in both good and bad times. 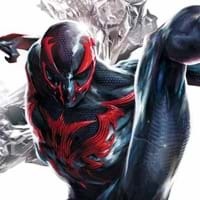 From Spider-Man 2099 Biography, along with list of Spider-Man 2099 enemies, we also bring you the list of Spider-Man 2099 friends and group affiliations. Check out all the elemental and medical weaknesses of Spider-Man 2099.